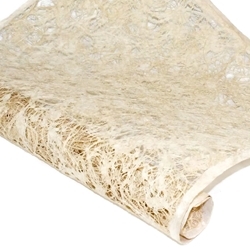 Lace like bark paper in a cream colored design. Go back to ancient times with this great Mexican Amate Paper! This ancient paper dates back to pre-Columbian and Meso-American times and is still hand made by the Otomi Indian artisans of Mexico using the same methods of their Mesoamerican ancestors from 3000 years ago. It has been used through the ages in religious and legal texts and as a canvas for painting. Made from Amate, Nettle, and Mulberry trees, the unique and earthy tones of the trees perfectly blend together for an incredible crafting paper! The Tejido, or Lace Amate Paper utilizes bark fibers woven together in a heavy lace pattern with a solid pulp border. The differing bark textures, shapes and colors provide incredible depth and an intricate lace design while the basic cream color easily blends with other colors in your project. Due to the use of natural bark and the handmade process, each sheet is a unique piece of art on its own and will vary in shade, color, weight and pattern. Measures approximately 15.5" x 23.5"
*Image used with permission from Victoria Harrington. 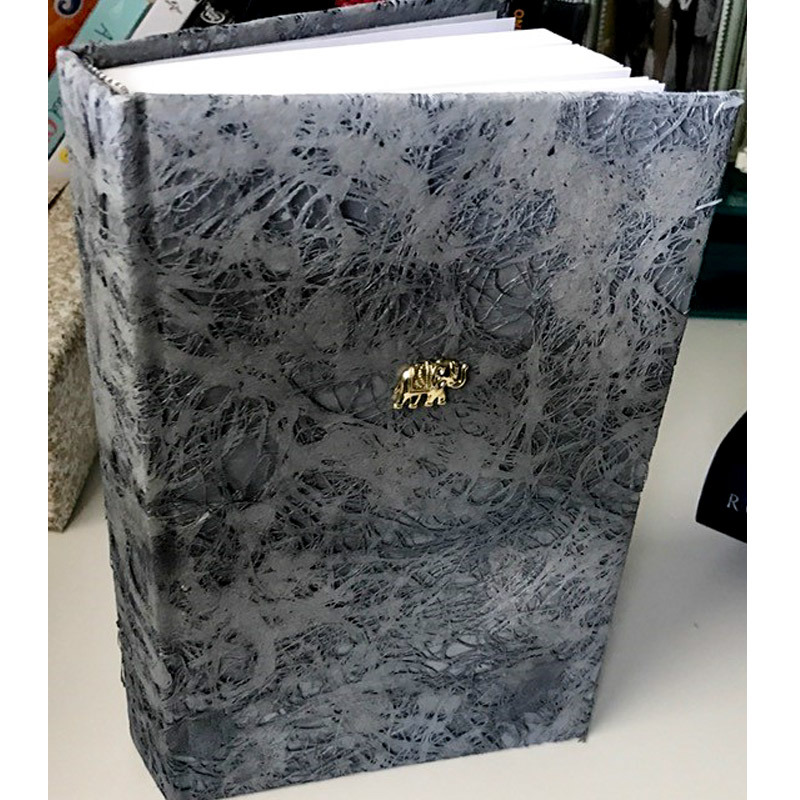 ​​Victoria Harrington created a unique book cover using the Lace Mexican Amate Bark Paper and spray-painted it gray to give the appearance of elephant skin! See more paper ideas and beautiful artwork shown in our Paper Idea Gallery!